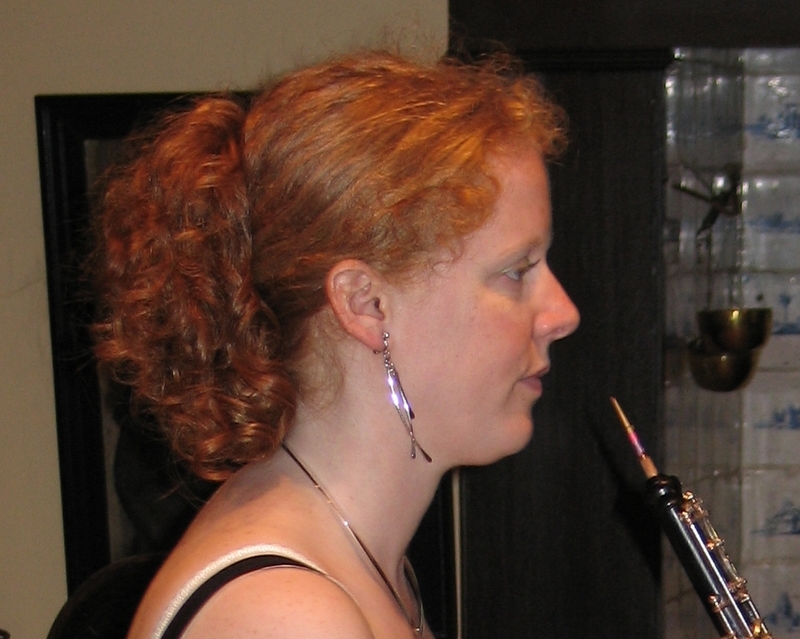 I am a lecturer in the School of Physics and Astronomy at the University of St Andrews. 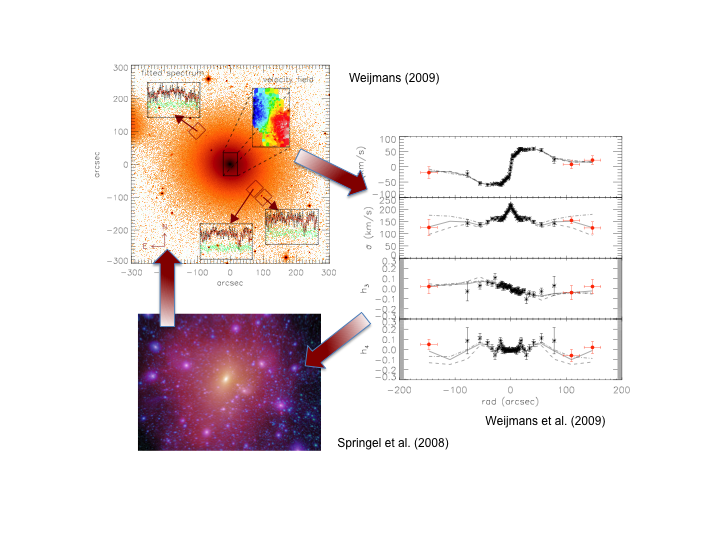 The figure on the left illustrates what I'm attempting to achieve with my research: I start out with observations, which I use to make models of dark matter haloes. The properties of these dark haloes can then be compared with predictions of theoretical simulations, which can then trigger new predictions that we can test with observations. More recently, I have also started to look at galaxies at higher redshift. I compare the structural properties of nearby galaxies with those of galaxies far away (at higher redshifts). Because light has a finite speed, the light of these last galaxies takes billions of years to reach us, and therefore we see these galaxies at a time when they were very young. By comparing these young galaxies to the old ones that we see today, we can learn something about which processes galaxies have undergone over time, and how that changed their appearances. I am also interested in future integral-field studies, and am the leadobserver of MaNGA (Mapping Nearby Galaxies at APO), a survey that will start July 2014 with observing 10,000 galaxies as part of the Sloan Digital Sky Survey IV (SDSS-IV). You can read my blogpost on our commissioning run here: MaNGA's first galaxies. And my PhD thesis can be found here: The Structure of Dark and Luminous Matter in Early-Type Galaxies. I am currently teaching AS4010 Extragalactic Astronomy and the cosmology module of AS1001 Astronomy & Astrophysics 1. 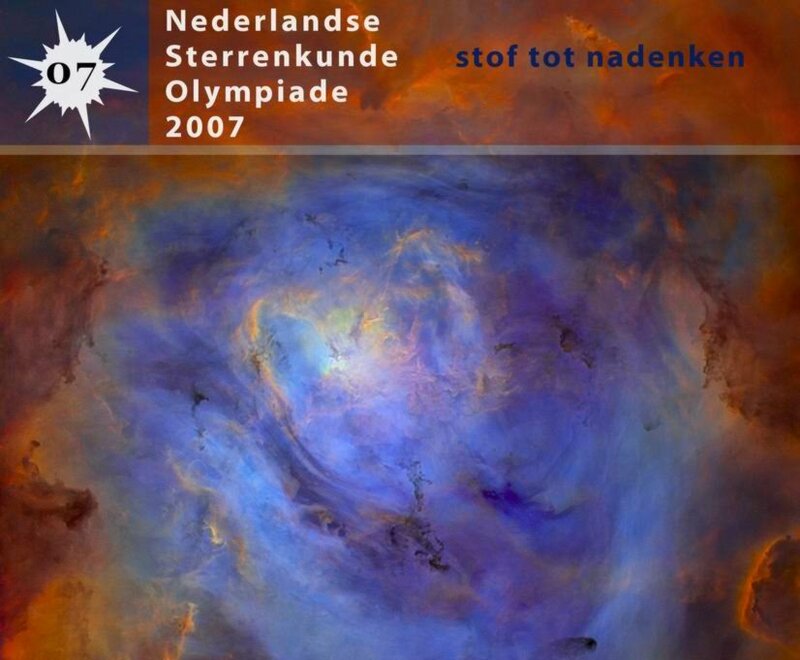 I was involved in organising the first Dutch Astronomy Olympiad in 2007. This Olympiad offers high school students a chance to enlarge their knowledge on astronomy, and win a trip to the Observatory of La Palma! The Astronomy Olympiad has become an annual event. Have a look at Sterrenkunde Olympiade for more information.